Lakota Creations is the home of mother-daughter Lakota artist team Linda Herzberg and Janet Callahan. This is one of my favorite pieces ever. 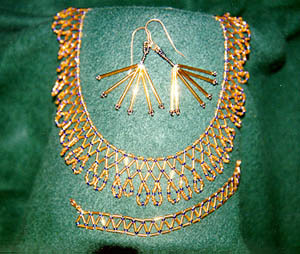 Gold “Apache Lace” necklace with dark blue accents, approximately 16″ long and about 1 1/2″ wide. $200. Bracelet and earrings not currently available, but matching bracelet and/or earrings can be made. In preparation for this new site, I’ve been trying to get things a bit more organized. My first step was to purchase jewelry trays to put everything in, so it’s compact and transportable. Shopping cart buttons coming soon; in the meanwhile, please email orders [at] lakotacreations [dot] com with a description of what you’re interested in. Paypal is our preferred payment method. 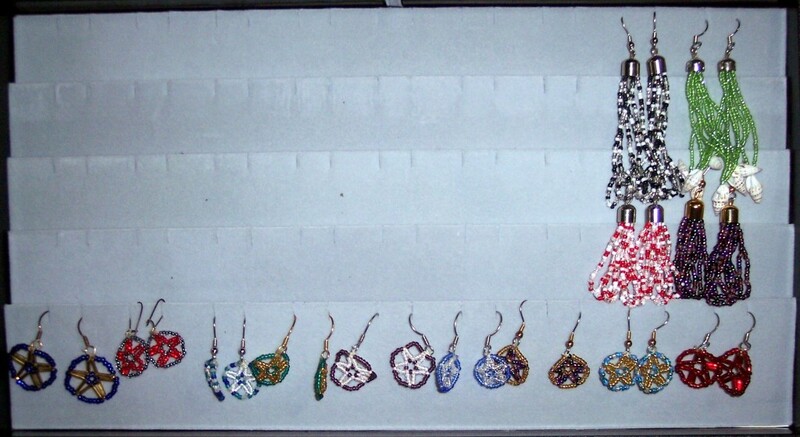 These earrings are all hand beaded on surgical steel ear wires. Along the bottom row of the tray are star earrings, based on a design seen in a newspaper ad in the late 80s. 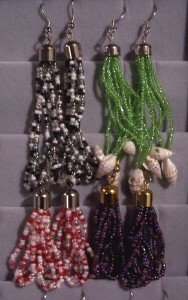 $12 per pair. 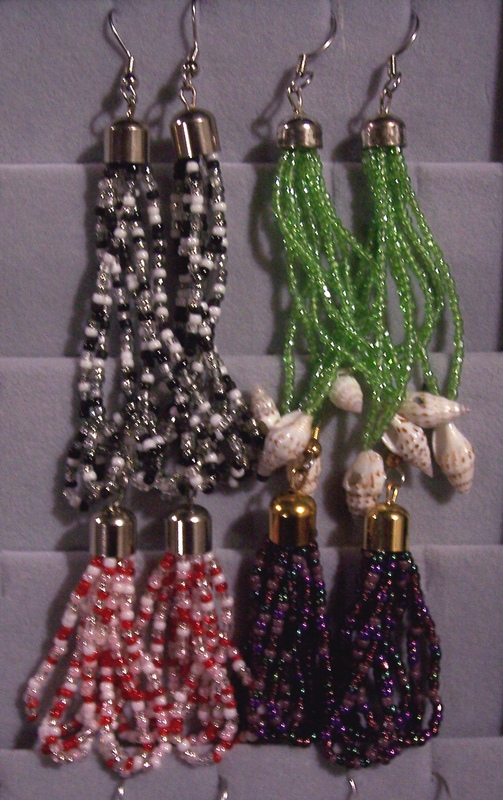 Earrings are about 3/4″ in diameter, plus or minus a bit. this photo (right side of tray): gold with mixed purple, mixed blues with gold, red. this photo (left of tray): blue with gold, gray with red, and mixed blues with white.